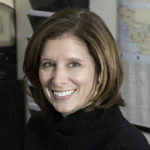 Kim Penney, principal consultant and founder of One-on-One College Consulting, is a member of the Independent Educational Consultants Association and a certified MBTI® Practitioner. She holds a B.A. in Psychology from Tufts University, where she played Division III basketball. She holds a M.Ed. in Guidance Counseling from Salem State University, where she coached women’s basketball. As a former high school guidance counselor with a caseload of 300+ students, Kim established One-on-One College Consulting to offer a more personalized approach. Kim also coached the girls’ varsity basketball team at Reading Memorial High School for 15 years, capturing the Massachusetts’ Division II State Championship in 2012. She was named Coach of the Year by the Boston Globe, the Massachusetts Basketball Coaches Association, as well as the Massachusetts Interscholastic Athletic Association and was inducted into the Reading Memorial High School Athletic Hall of Fame in the fall of 2015. She currently serves as a member of the Tufts Athletic Hall of Fame Committee and the MIAA Endowment Committee. Kim also directs One-on-One Basketball Clinics and the Best of the Best College Basketball Showcase. She frequently gives presentations at conferences and schools throughout New England. Michelle Walker, consultant for One-on-One College Consulting, joined our team in 2014. She is an associate member of the Independent Educational Consultants Association and a certified MBTI® Practitioner who served as our interview and essay specialist for several years prior to becoming a consultant. Michelle holds a B.A. in Education and a M.Ed. in Higher Education Administration from Boston College. Her professional experiences includes many years of classroom teaching and working in the Office of Undergraduate Admission at Boston College. She has also worked in the Division of Student Affairs and Campus Activities at Butler University. Michelle helps manage the college application service for our students. 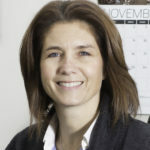 Lori Sides, consultant for One-On-One College Consulting, joined our team in 2018 and specializes in the independent day/boarding school search and application process. She holds a B.A. in Political Science from Colgate University, where she played Division I ice hockey. 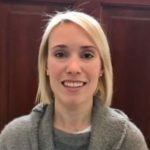 Lori attended Phillips Academy Andover for a post-graduate (PG) year and is particularly interested in using her experience to help students identify and apply to independent day and boarding schools that best fit them academically, socially and athletically. Lori also helps manage the college search service for our students. 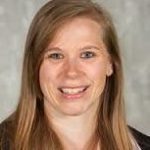 Danielle Dunn, office coordinator for One-On-One College Consulting, joined our team in 2019. She holds a B.S. 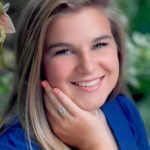 in Sports Medicine from Merrimack College, where she played Division II tennis on an athletic scholarship and served as varsity team captain in 2018. She also works part-time as a tennis instructor and front desk coordinator at Northeast Tennis Center in Middleton, MA. Danielle utilizes her organizational and communication skills to help our office run smoothly and efficiently on a daily basis. Carolyn Crampton is our athletic club liason at One-on-One College Consulting. She has been a member of our team since 2010 and has extensive coaching experience at the college, high school and club levels. She holds a M.Ed. in Higher Education Administration from Suffolk University and currently serves as an assistant women’s basketball coach for the Rams. She has also coached basketball at Vassar College and Reading Memorial High School. She holds a B.A. in Psychology and Economics from Vassar College where she captained the women’s basketball team to a Liberty League Championship in 2011. She also speaks at our group events and presentations. Jaclyn Lyons is our graphic designer and girls’ basketball event manager for One-on-One Camps, the events division of One-on-One College Consulting. She is the head girls varsity basketball coach at Milton Academy. A standout player at Reading Memorial High School, Coach Lyons played both Division I and Division II college basketball on an athletic scholarship at the University of New Hampshire and Merrimack College, respectively. She manages various events for One-on-One, including basketball clinics, skill sessions and college basketball showcases. She is committed to the game, helping all of our event participants reach their true potential. My son was our first child applying to college. Completely unaware of where to begin, One-on-One led us through the process in the most friendly, organized and professional manner. They were outstanding in narrowing down the right school and major for my son. He wanted to play lacrosse in college and One-on-One was instrumental in helping him contact coaches. Every step of the way they guided and encouraged him. My son and I could not be happier with the end result! !